In the mood for some seasonal theatre? You're in luck: venues all over London are cracking open their Christmas shows and inviting audiences in for some "oh yes he is" shouting and other family traditions. Alternatively, if you don't fancy being surrounded by children, we've also picked some of the best shows for adults. As ever, there are lots of pantomimes in all corners of town – we've picked our favourites but for a full list, take a look at Visit London. Paul O'Grady is dressing up as Lily Savage again for what we can only assume will be a barnstorming Widow Twankey. 7 December-5 January, tickets from £23.50. Mel Giedroyc plays Cinders' wicked stepmother until 5 January, tickets £15-£35. Also on at the Lyric is a Pins and Needles adaptation of Raymond Briggs's Father Christmas, until 5 January, tickets £8. 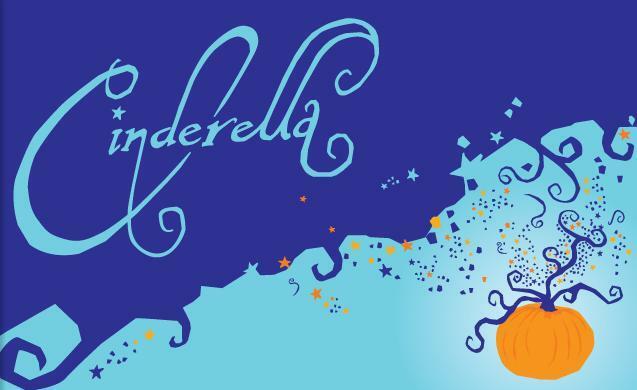 Relive your childhood with Floella Benjamin playing the Fairy Godmother in Catford. There'd better be 'round window' jokes. 15 December-6 January, tickets from £10. Priscilla Presley, Warwick Davis and Jarred Christmas make a pretty stellar line-up for this classic tale. 7 December-13 January, tickets £10-£39.50. The most London of pantos gets an Indian makeover in Earlsfield. They're also counting down with 12 Days of Bollywood audio clips on their website to get you in the mood. 5 December-5 January, tickets from £12.50. Julia Donaldson and Axel Scheffler's book adapted into a musical, suitable for ages 3 and up. 8 December-6 January, tickets £12.50 / £44 family. Kneehigh is setting up at the BAC for a twist on the Cinderella tale (we love the Prince's dating video). There'll also be a series of Midnight Feasts after the show with chocolate and dancing. 8 December-13 January, tickets £15-£25 / family ticket (covers six) £100. Dominic Gerrard performs Dickens's Christmas classic with puppetry and music in three different venues, directed by Tim Carroll (currently working on the Globe's West End transfer of Twelfth Night and Richard III). 3-29 December, tickets £10 / £12 / £15 depending on venue. These shows are still festive and sparkly but won't be suitable for the kids. Performance artist Scottee is in charge of the Roundhouse, with guests Nando Messias, Jayde Adams, Josephine Shaker, Sue Hart and others for a night of camp clichés, TV rip-offs and tinsel. 13-22 December, tickets £15 / £12.50. This has completely sold out for December, but new dates have been added in January for debauched and debased pantomime antics with some of London's most popular and talented cabaret stars. 2-12 January. This perennial favourite is in a new venue with some new cast members. Proud to flaunt the title "the capital's filthiest pantomime". 3 December-6 January, tickets £18.50. This year's RVT panto contains wigs, handbags and nary a spinning wheel. Cabaret performers Mz Kimberley, Myra DuBois, Lorraine Bowen, Alp Haydar, Holestar and Sharia Law star. 5-28 December, tickets £10. Enjoy a night of festively filthy and darkly funny songs from Richard Thomas, one of the people behind Jerry Springer: The Opera, and performance artist "The Divine" David Hoyle. To 5 January, tickets £10-£20. Let us know your recommendations in the comments.